A curvy bench is one design option for your home. The playful design is not only elegant, but also comfortable to sit on. This serpentine garden bench is handcarved from Giallo Fantasia granite and is truly a work of art. The natural stone adds an artistic feel to your garden. Beauty is in the eye of the beholder, so make it your own by choosing a color of granite that goes best with the surrounding landscape. 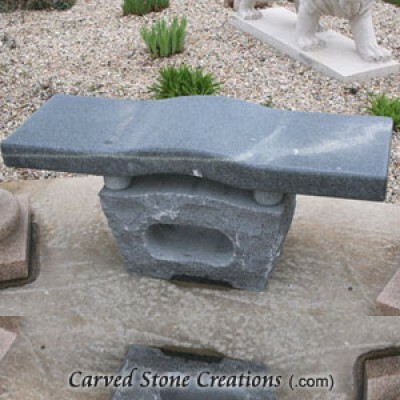 There are many contemporary stone bench designs that will make you and your guests stop and stare. 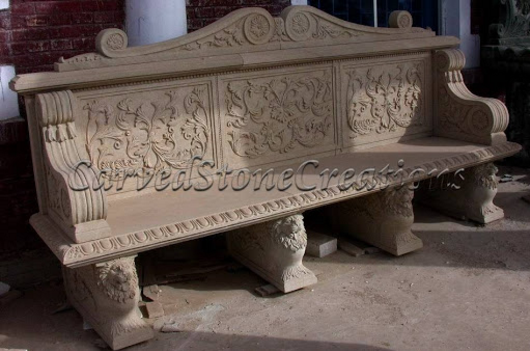 This handcarved contour bench has a beautiful mix of natural elements and modern design. The rock base makes this bench stand out from other simple benches, and will intrigue you. It offers beauty and a seat! 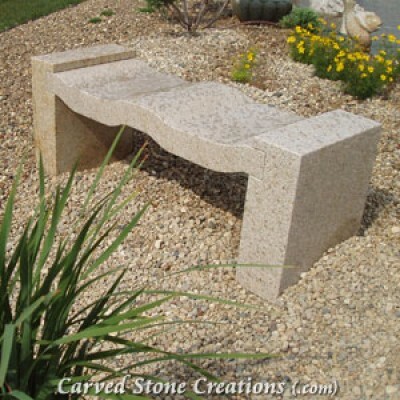 If you want to be able to lean back with support when you are soaking up the sunshine, a stone bench with a backrest may be perfect for you. Handcarved from natural stone, you wont ever have to worry about splinters or rotting wood, just timeless beauty. The design can be as detailed or simple as you want, and you can lean back and let your worries escape your mind! Is there a bench design you want for your home? Contact us today! We turn your design dreams into a reality.